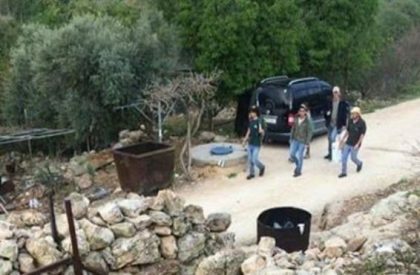 A group of illegal Israeli colonizers started, Thursday, the construction of a new colonialist outpost on Palestinian lands, in Qana Valley area, west of Deir Istiya town, north of Salfit in Central West Bank. The Mayor of Salfit, Sa’id Zidan, said the so-called Civil Administration Office, run by the army in the West Bank, decided to build 108 colonialist units on 59 Dunams of Palestinian lands in three basins, to build the new colony. He added that Israel “legalized” the construction of many homes for colonialist settlers in what was previously declared as a protected “Natural Reserve,” where the Palestinians have been denied the right to even plant trees, installed hot houses or irrigation pipes. 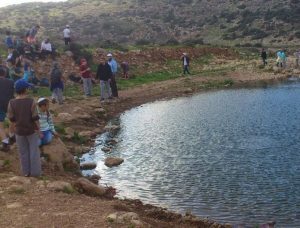 Nathmi Salman, a local farmer and a member of the Deir Istiya Town Council said Israel uses the excuse of “Natural Reserve,” in order to “legalize” its takeover of Palestinian lands, and to prevent the locals from planting and taking care of their lands. Qana Valley is more than 10.000 Dunams surrounded by illegal Israeli colonies, built on Palestinian lands and gradually expanding.